Leo J. Pelletier, 88, passed away Tuesday January 15, 2019 at home in Middlebury, CT surrounded by his family. Leo was born January 2, 1931 in Bridgeport son of the late Leo Pelletier and Myrtle Dube Scoverni and was a graduate of the University of Connecticut. 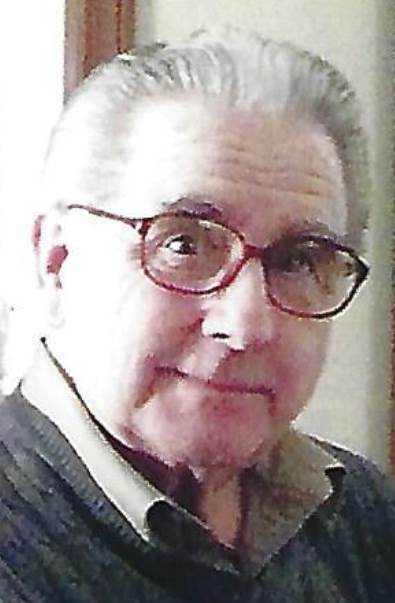 He was a veteran of the U.S. Navy and was employed for over 20 years by the Connecticut State Banking Department as a bank examiner. Leo is survived by his partner of 30 years Barbara Graves of Middlebury, four children Douglas Pelletier and his wife Susan of Southbury, Thomas Pelletier of Southbury, Michael Pelletier of Cromwell, and Mary Elizabeth Dutko and her husband Marc of Cromwell, two sisters Jean Crouse of Pelham, NH and Myrtle Singley of Shelton, a stepbrother Jerry Scovin of Florida, four grandchildren Sarah Brittany Myers, Daniel Myers, Jameson Pelletier and Lauralee Pelletier as well as many nieces, nephews, and cousins. The family would like to express its deep appreciation for the loving care given to Leo by his caregiver Kinda McGowens. A celebration of Leo’s life will take place on Saturday January 19, 2019 at Wildermere Beach Congregational Church 133 Broadway, Milford at 11 AM followed by burial at Union Cemetery in Stratford. In lieu of flowers friends may wish to donate in Leo’s memory to the Alzheimer’s Association, 2911 Dixwell Ave. Hamden, CT 06518.